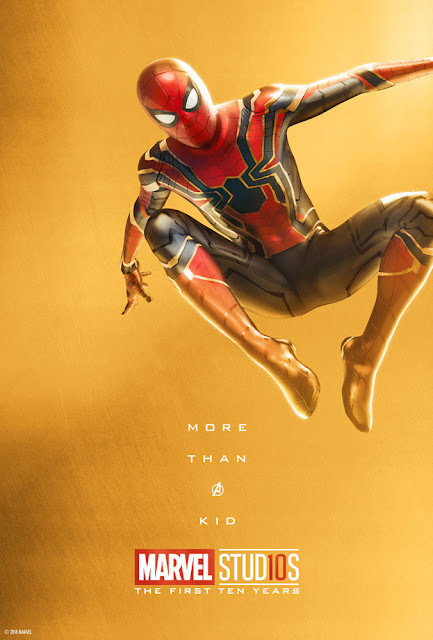 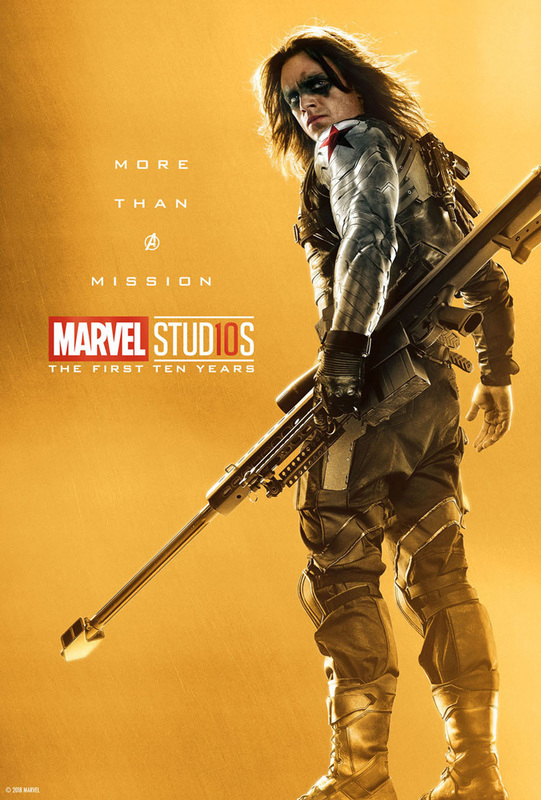 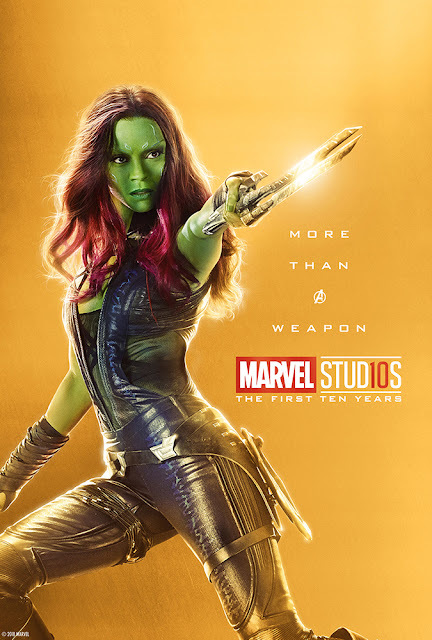 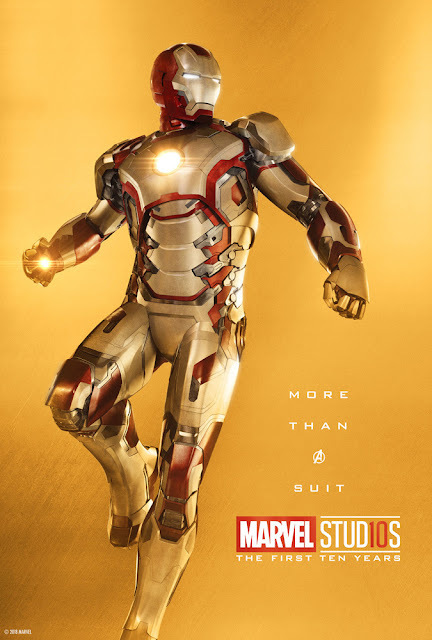 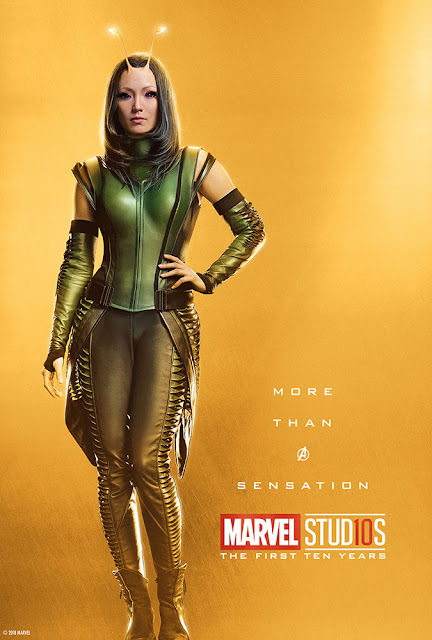 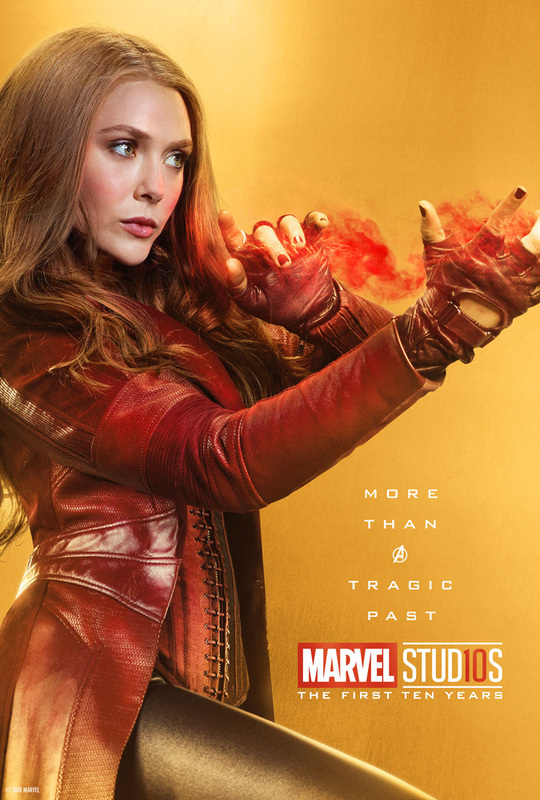 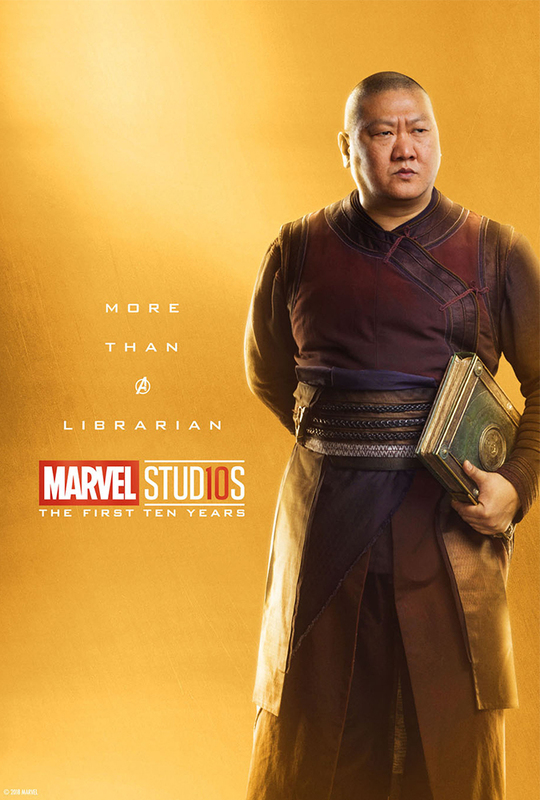 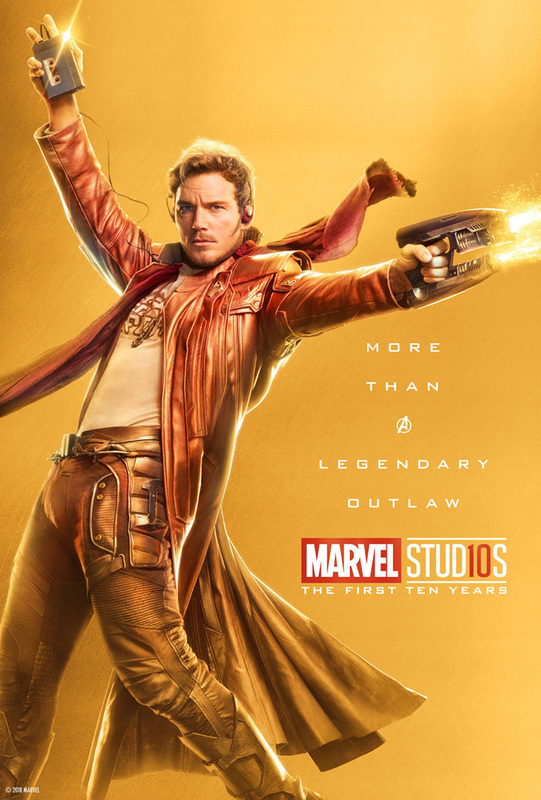 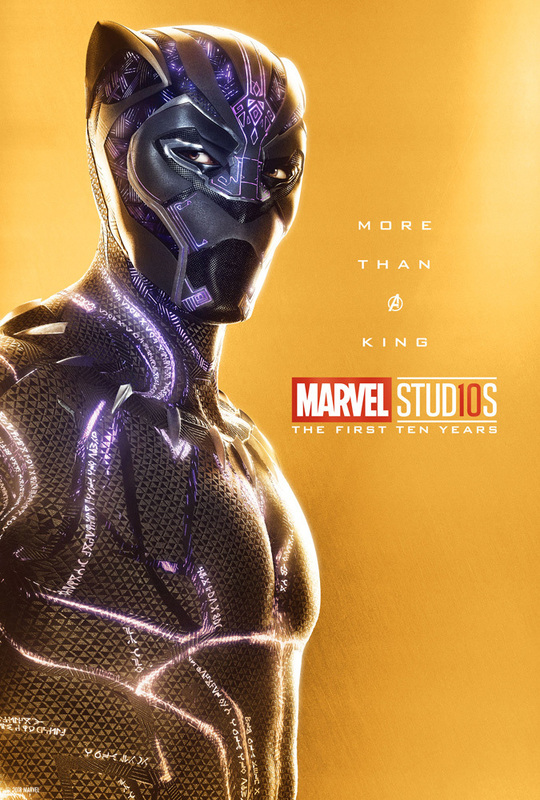 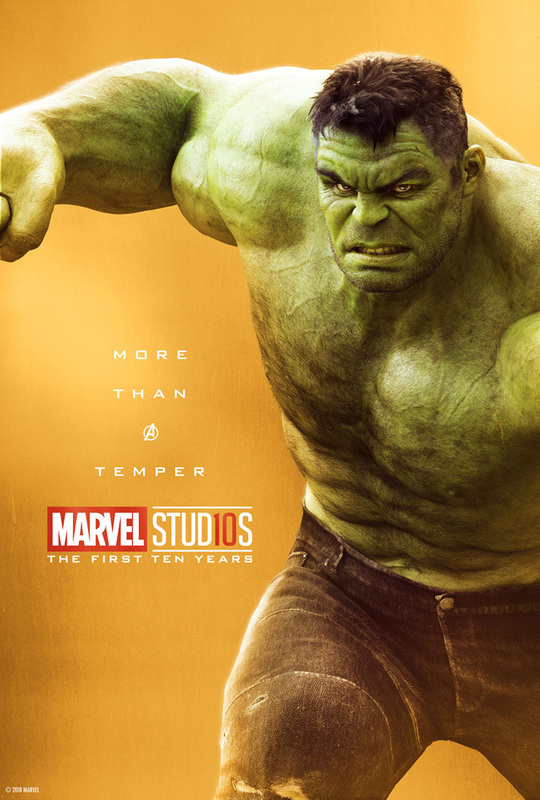 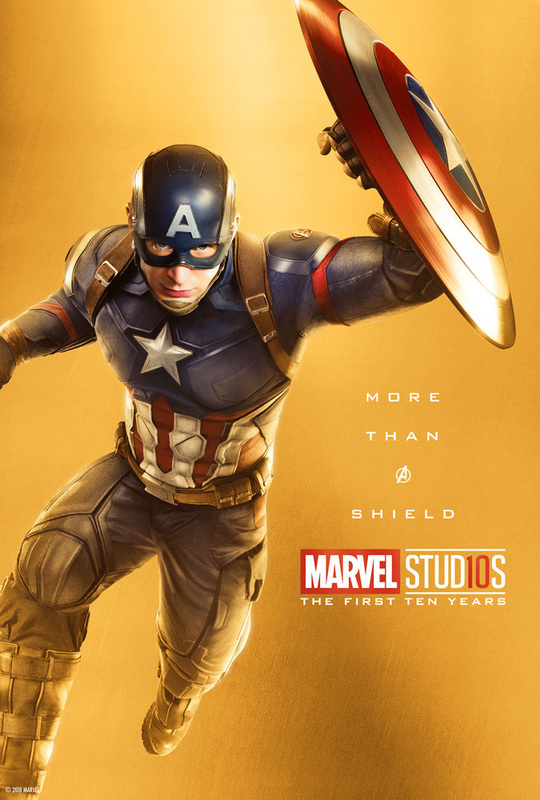 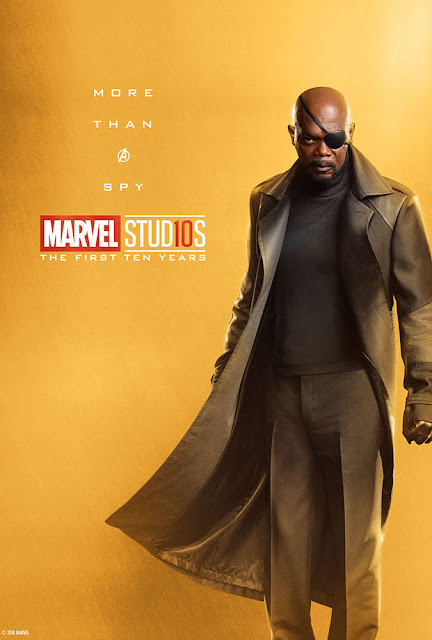 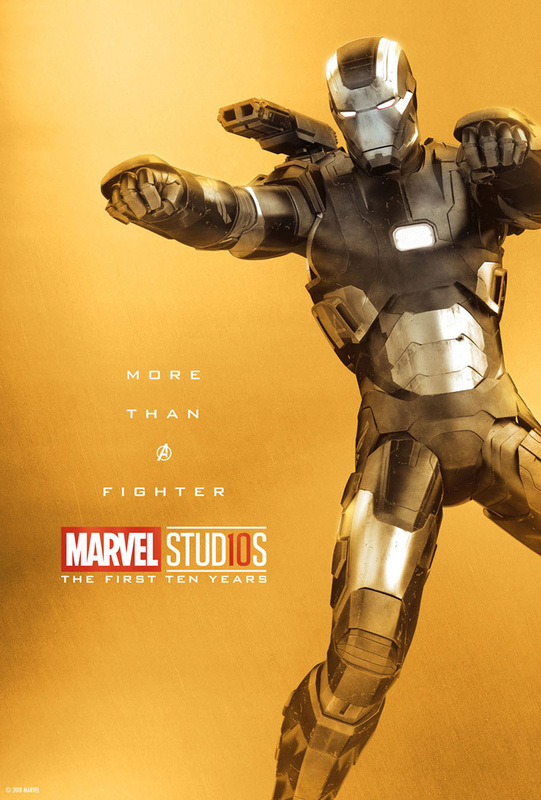 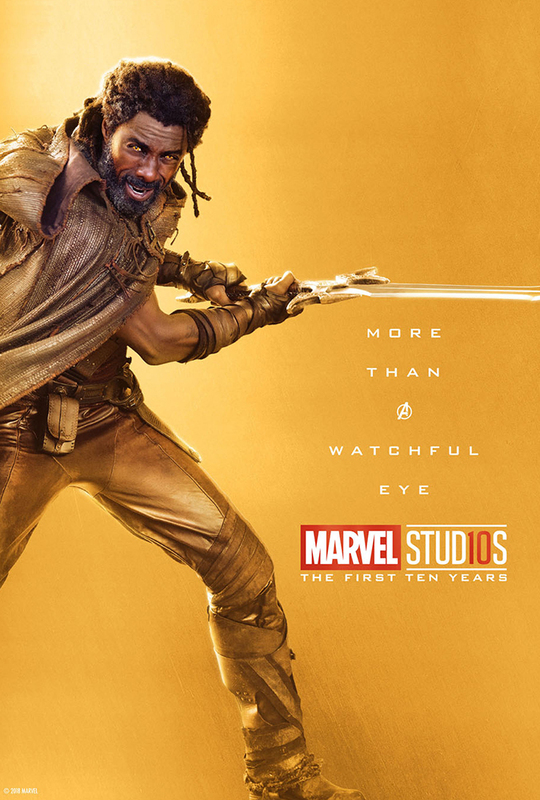 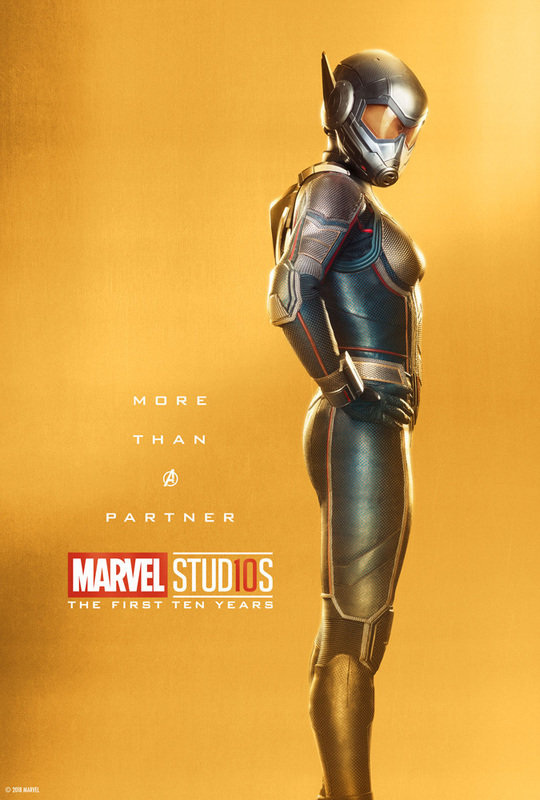 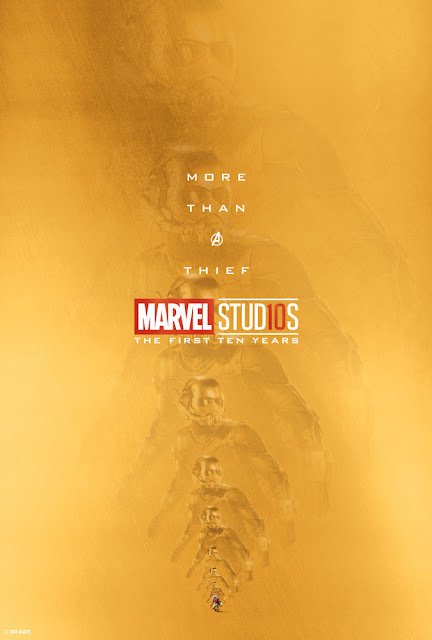 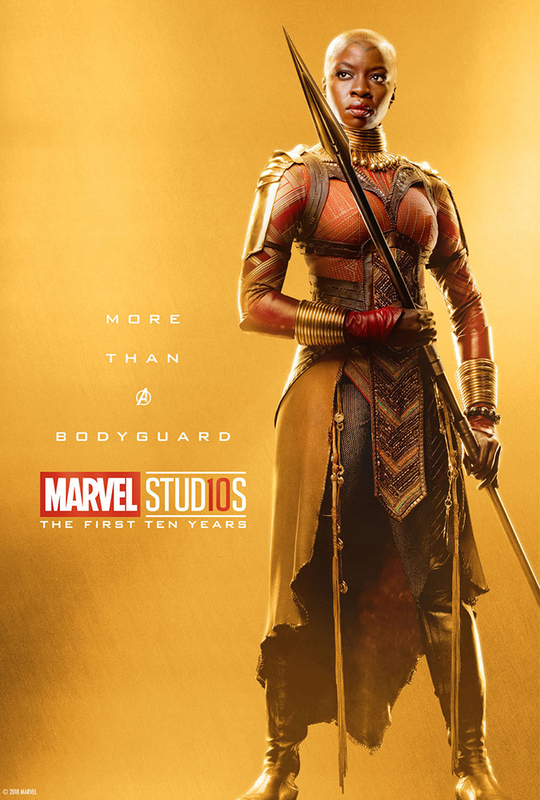 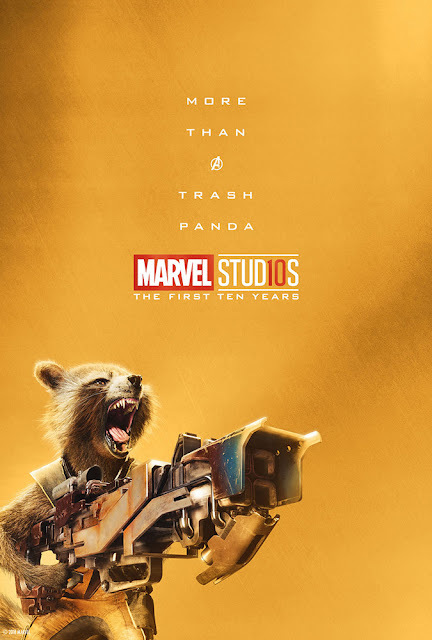 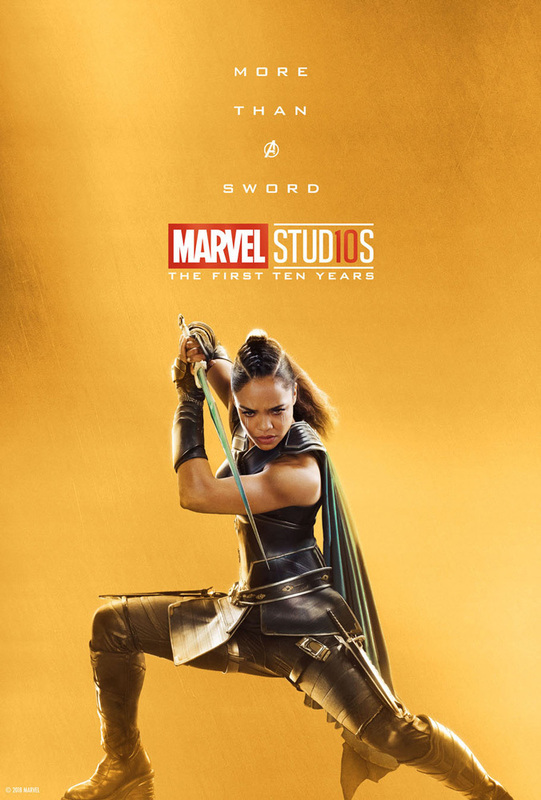 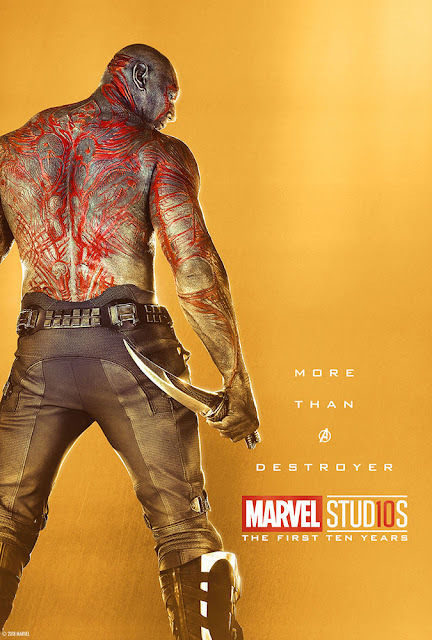 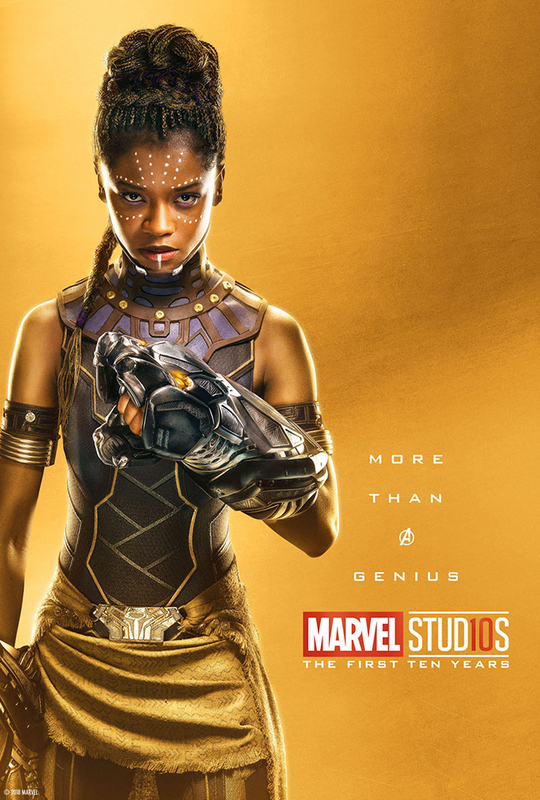 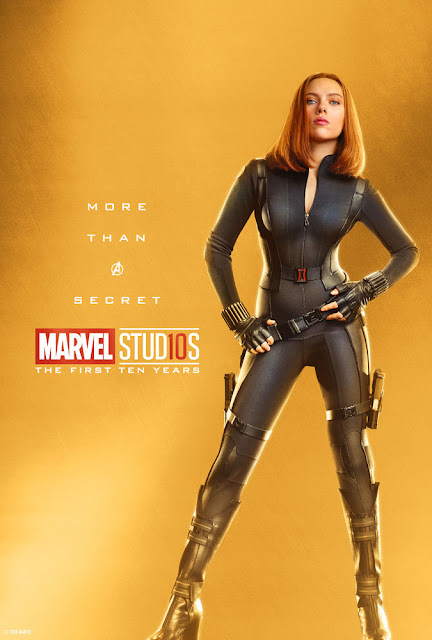 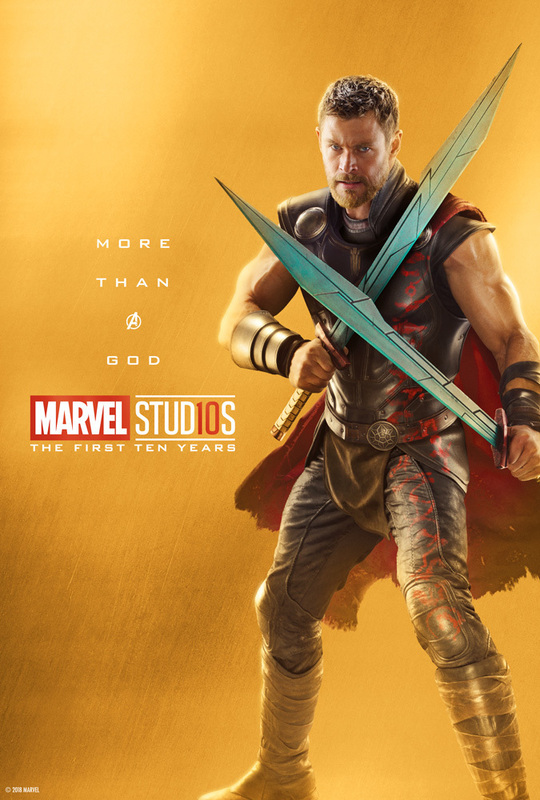 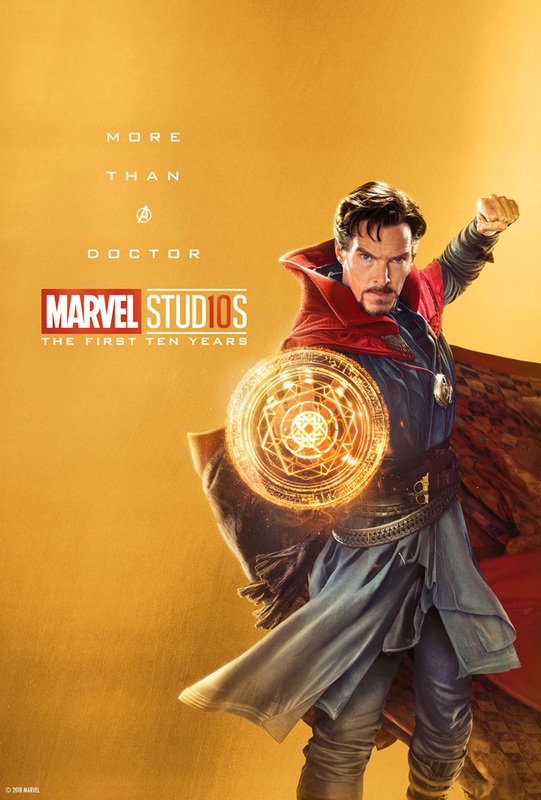 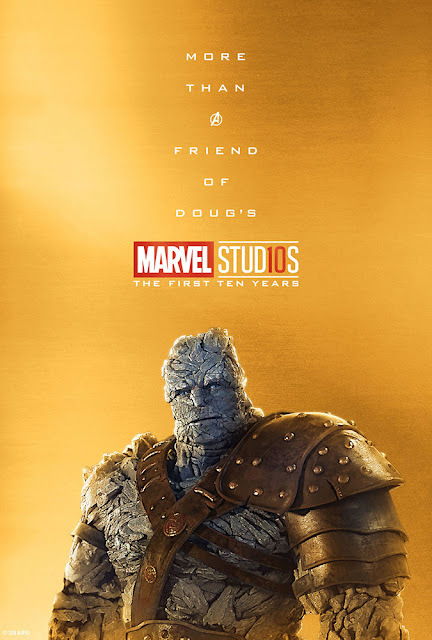 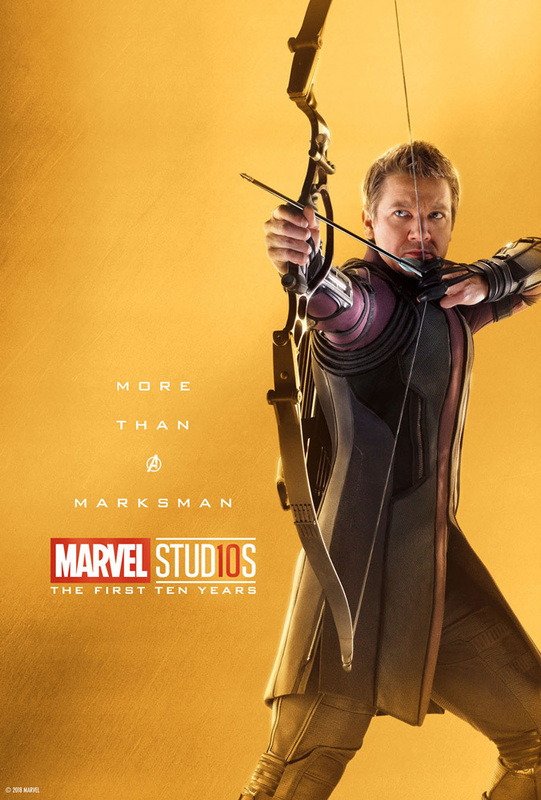 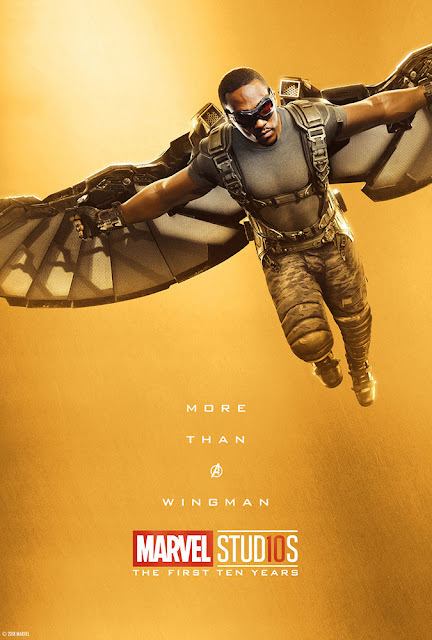 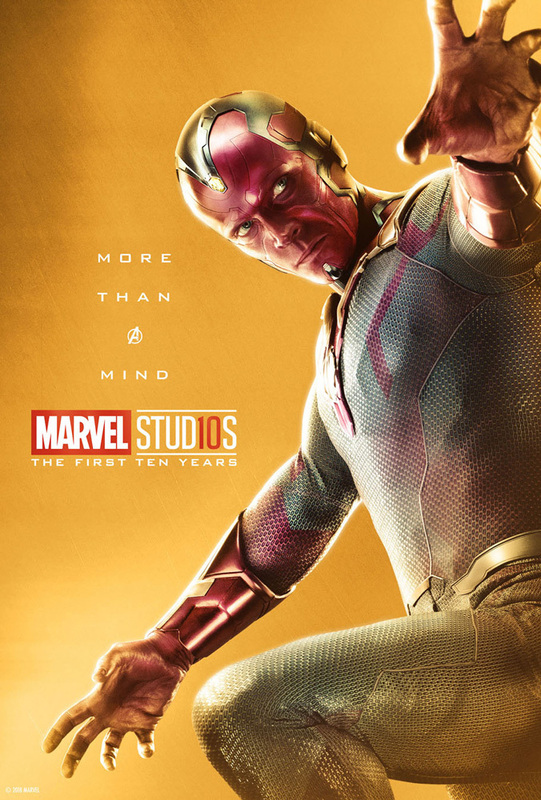 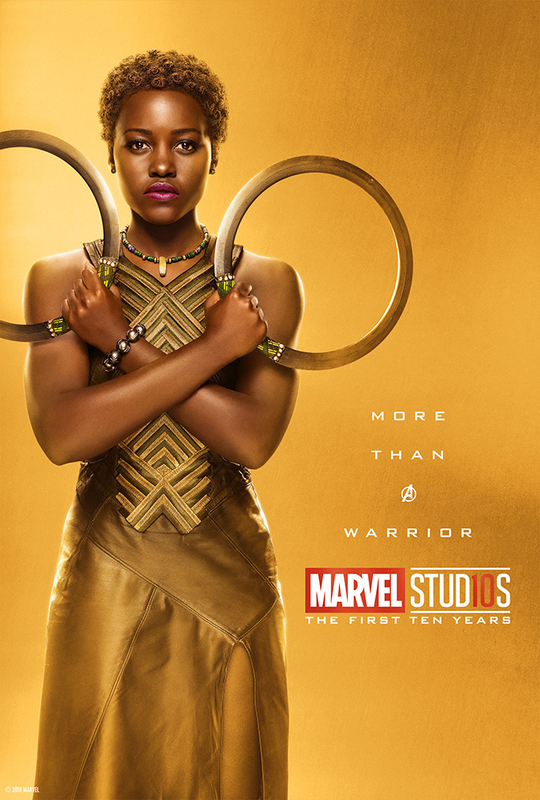 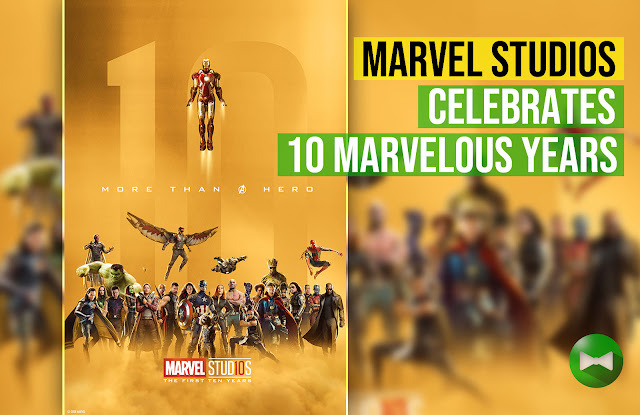 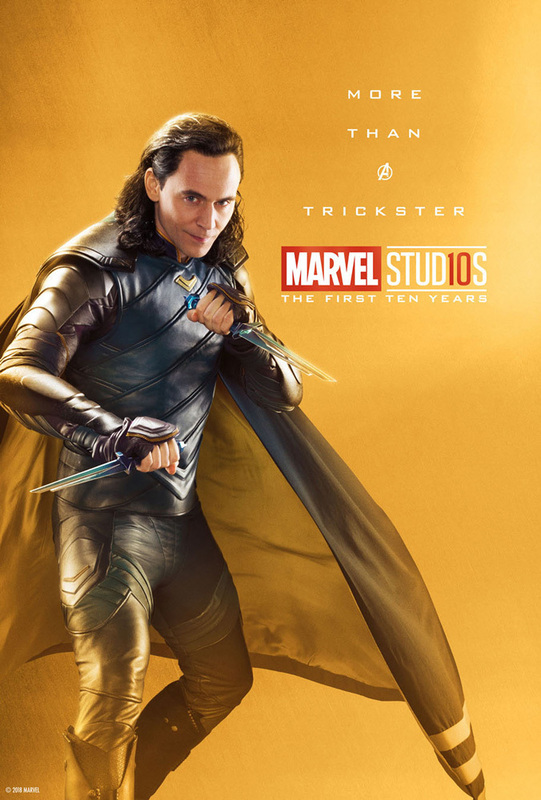 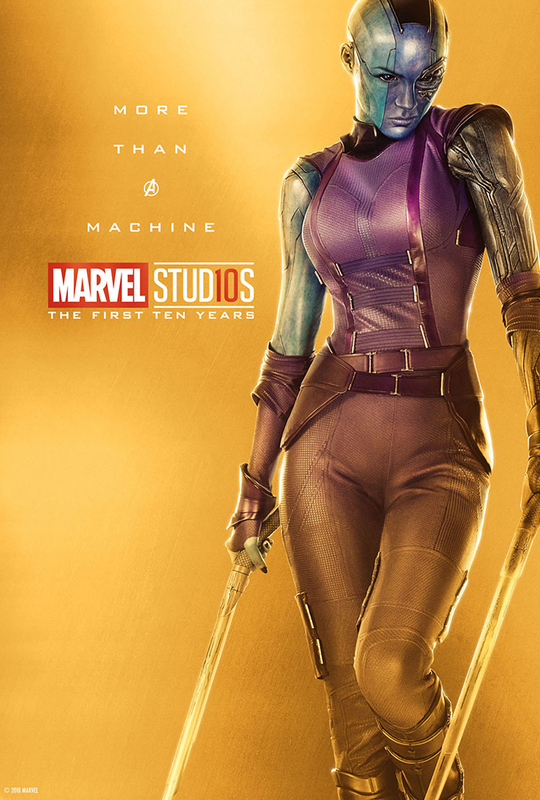 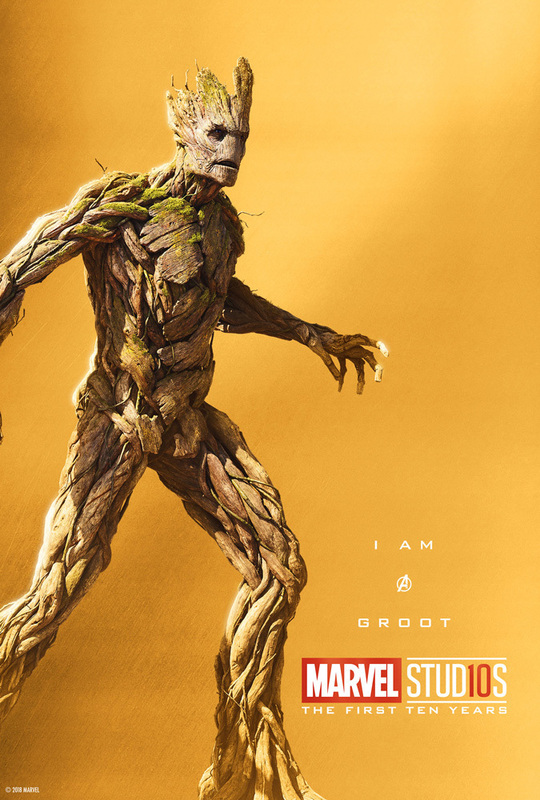 Tagged as More Than a Hero, Marvel Studios: (stylized as "Marvel Stud10s") The First Ten Years, released a collection of golden posters from Marvel's vast characters in the past 10 years through Disney Rewards. 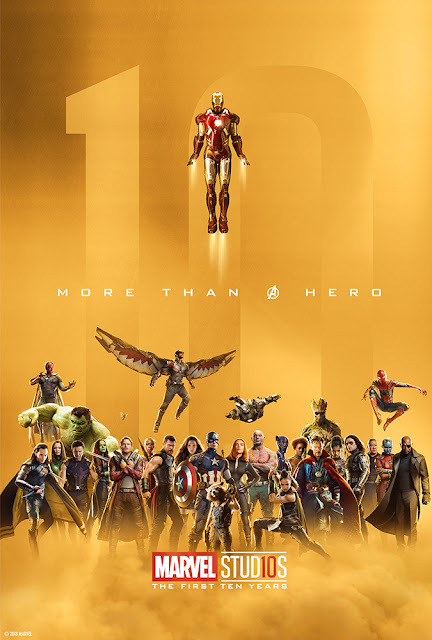 Headlined by Iron Man, the collection includes :Ant-Man, Black Panther, Black Widow, The Winter Soldier, Captain America, Drax, Doctor Strange, Falcon, Nick Fury, Gamora, Groot, Hawekye (yes! ), Heimdall, Hulk, Korg, Loki, Mantis, Nakia, Nebula, Okoye, Rocket Raccoon, Scarlet Witch, Shuri, Spider-Man, Star-Lord, Thor, Valkyrie, Vision, War Machine, Wasp and Wong. The page also includes a timeline of the decade rich history of Marvel Studios. 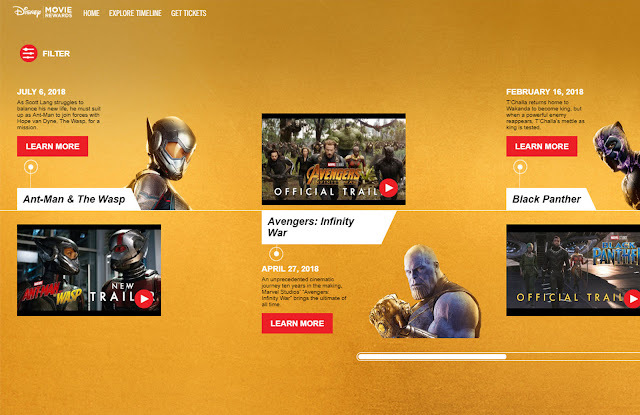 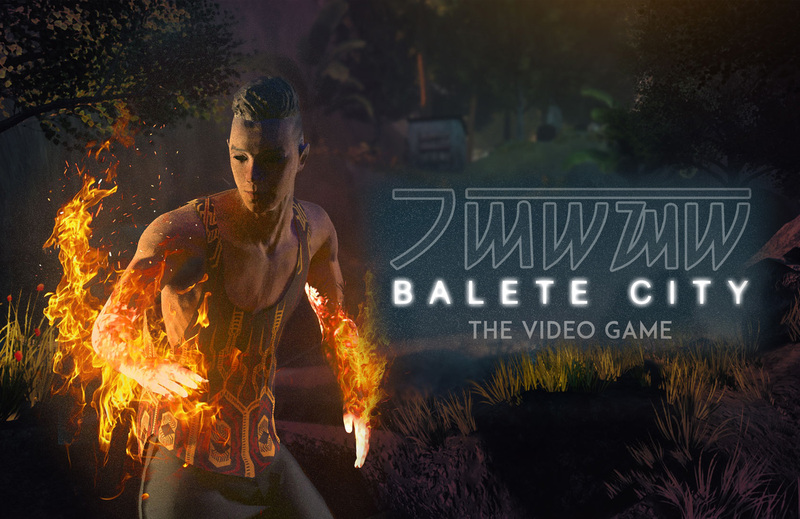 You may find the timeline here.